Like I said, I'll admit it has it's flaws. People pointed them out to me before and after seeing it, so I was even aware of them before I saw the movie. (My favorite critique was this one comparing it to Pocahontas). But while I was watching it, I didn't care. All the critiques I had heard were forgotten. Why? Because I was there. I was on Pandora. It was as much my avatar as Jake Sully's. The technology was able to make me believe I was there, it was so realistic I forgave the characters and storyline because I was with them. The characters became simply people I was meeting in "reality," I forgave them like I would anyone else and their quirks. They didn't have to be perfect because I was experiencing the story with them. I'm not saying that 3D technology is able to remedy all story problems. But for me it certainly made them more forgivable. And I'm not talking about the 3D you find in a Disneyland attraction either. I'm talking about the artistic use of new technology to create realistic depth on a 2D screen, simulating reality and allowing a person to enter a new world themselves. In a sense I did have my own avatar and was experiencing something new. Just as Jake Sully suddenly entered Pandora and had to learn a new life, the audience was able to do the same because they too were given something so realistic it was as if they were living through Jake's avatar as well. Obviously this is all on the subconscious level, and what amazed me was how well James Cameron used this technology on the subconscious level. I loved that for the most part I didn't even notice it was 3D. On any normal shot, I found myself pulling down my glasses and seeing the movie as I would in 2D and realized how much depth and realism was added that I hadn't even consciously noticed while watching it. My mind saw nothing out of the ordinary and believed what it was seeing. It was amazing! And I will admit I loved the story. It's a jam-packed action adventure story, where justice needs to be done, one man must choose to do what's right to save the world, and must also prove to the girl that he is a hero worthy to be loved. Done a million times? Perhaps. But just because something isn't 100% new (what is anyway?) doesn't discount it from being great. Maybe I'm a sucker for a typical story at times, but it left me satisfied. Sure it's a happy ending, where the struggle all pays off in the end, good prevails, and the guy gets the girl and a new life, but what's wrong with that? It left me leaving the theater feeling triumphant and victorious. Having some more time to think about it, I realize there is more to why I love this movie. It begins to ask questions about avatars, virtual realities, and the use of technology. What does it mean for us? 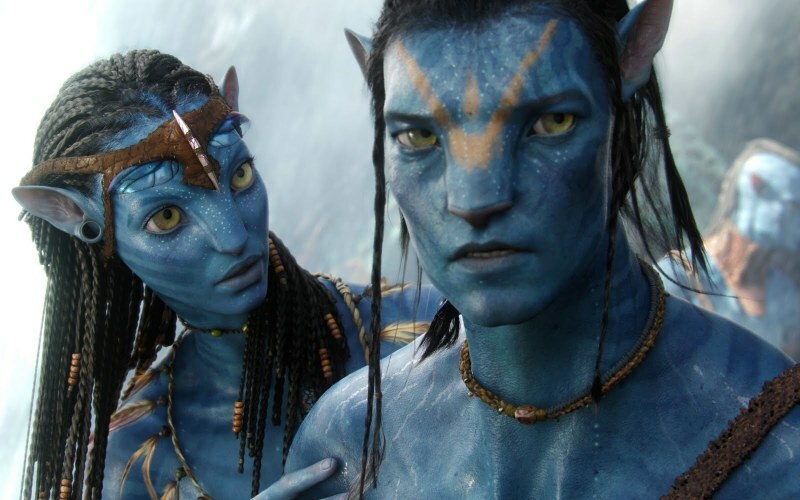 Should we want to be an Avatar? Jake Sully chooses to remain in his new life, that was merely a virtual reality before. It was a dream in a sense and now he gets to stay in it forever. Sure it seems better than what he has now, or at least more appealing, but should he desire to live in a dream? Or should he stay as a human, in reality? These aren't easy questions to answer. The movie also makes me wonder where this 3D technology will go? Will we begin to accept it more as it is more widely used and it won't affect us as much? Or will we be drawn more and more into the stories we watch as it's perfected? Will the characters in movies become our avatars, giving us abilities and adventures we could only dream of, but that now we can "live out"? Will our minds simply adjust to this new thing and realize that it really is just a movie, or will it eventually get to the point where we are just like Jake, confused as to what is real and what isn't, living another life that is so convincing we want it to be our reality? All of this is really exciting for me as a filmmaker. The technology gives me the ability to draw people into my stories even more, and allow them to experience something that maybe is truer than real life, a truth that transcends this reality. But it must also be used with care, providing the ability to cause much damage, trapping people in a reality that isn't their own, confusing them and using this new reality to manipulate people and perhaps never allow them to truly experience or be satisfied with their own lives.